This was tonight's dinner. And yes, if you haven't already guessed, this entrée selection is yet another recipe I've created for the upcoming book, Paleo Fitness. :) Please note that the below version of this recipe is slightly different from the book, since it's almost Paleo. However, only one minor modification is required to make it Paleo, i.e., namely the omission of salt. :) And of course, that modification has been included below. 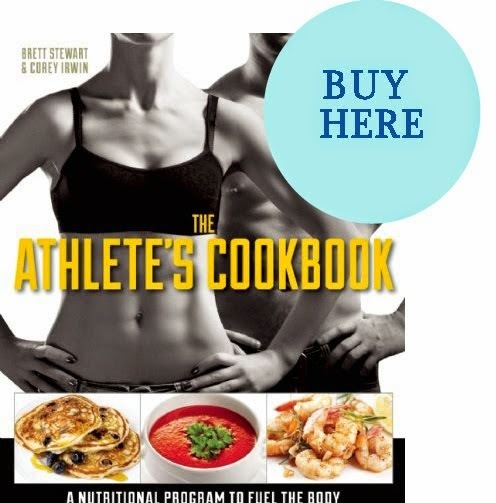 Not surprisingly, you'll probably see a few more Paleo recipes here over the next several days (i.e., Tuna & Avocado Lettuce Wraps, Jamaican Jerk Chicken with Grilled Green Plantains, Pan-Grilled Lamp Chops with Fresh Herbs, etc. ), so be on the lookout for those as well. Buffalo/bison meat is naturally lean, and in fact, is leaner than many, if not most, cuts of beef (as well as many other types of domestic livestock). On average, buffalo meat has roughly 70-90% less fat than beef, (which of course depends upon the cut of beef in question), and 50% less cholesterol. So, not surprisingly, it also has a lighter (and less greasy!) taste to it as well. If eaten as part of one's regular diet, it's also been shown to reduce LDL (i.e., the bad kind of) cholesterol. It's also much higher in protein, iron, Omega-3's, and amino acids than beef as well. Even better, buffalo are naturally disease-resistant and grow faster than domestic animals, which means that producers will typically raise them as naturally as possible, i.e., without antibiotics and growth hormones. In fact, many of the unnatural (and very unhealthy!) techniques used to increase cattle (and other domestic livestock) production thankfully (!) do not work for bison. Bison demonstrate what most of us have already known all along to be true -- when it comes to our food supply, the less mucking around with Mother Nature, the better (for both the animals and for our own health). If you've never had buffalo before, you'll probably be pleased to know that it doesn't taste gamey at all, nor does it have a strong flavor or aftertaste. It's really quite pleasant to eat. I would advise however, that, just as you would do with other lean cuts of meat (i.e., london broil, turkey breast, etc. ), you pay close attention to cooking times, as it can dry out if it's cooked for too long. Toppings of choice: lettuce, tomato, red onion rings, red pepper rings, avocado slices, etc. Directions: Preheat grill to medium-high heat. In a large bowl, combine all ingredients -- minus the toppings, oil, and portobello “buns" -- thoroughly mixing them together with a spatula until evenly distributed. Form into four 4 oz. patties and grill for 2 1/2 minutes per side, or until desired level of doneness has been reached. Brush or spray portobello "buns" all over with oil, and then simultaneously grill them next to the burgers, cooking them on both sides, until grill marks appear. 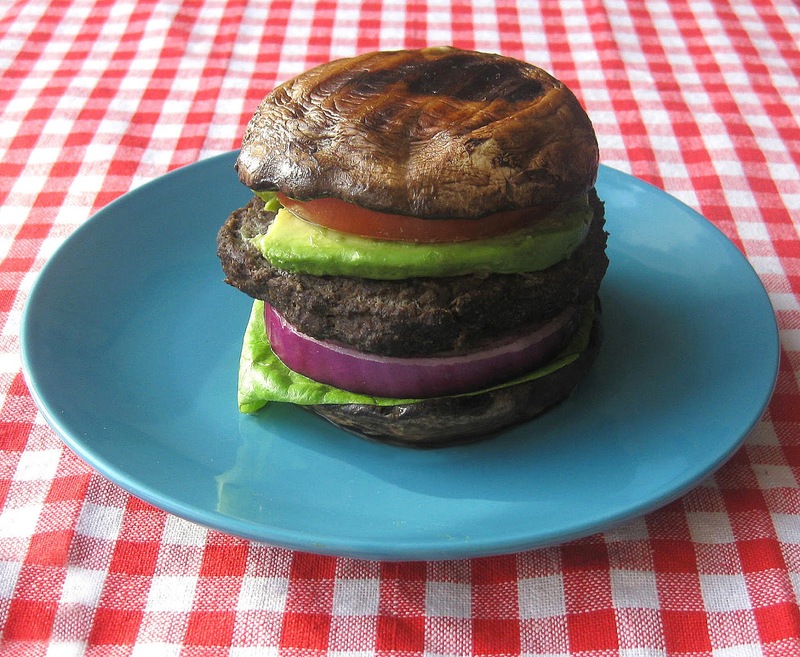 Let burgers and buns cool, then place burgers onto portobello “buns” with desired toppings and serve.